Facebook, with more than 1.8 billion monthly active users , remains the world’s most popular social network, by far. If the social media giant were a country , it would be much bigger than China. But although it's in several major markets – including China – and a few medium-sized and smaller ones too, Facebook doesn’t dominate the social landscape. 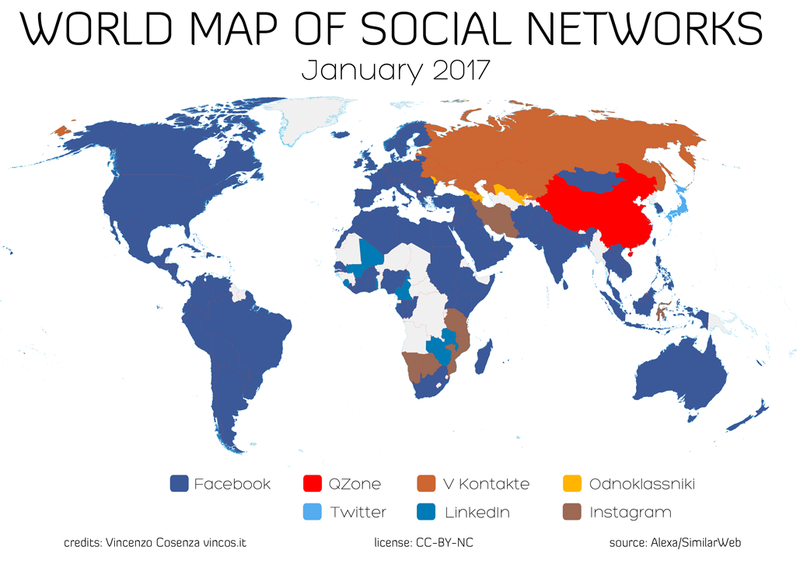 Social media strategist Vincenzo Cosenza has been charting the most popular social networks by country since 2009. 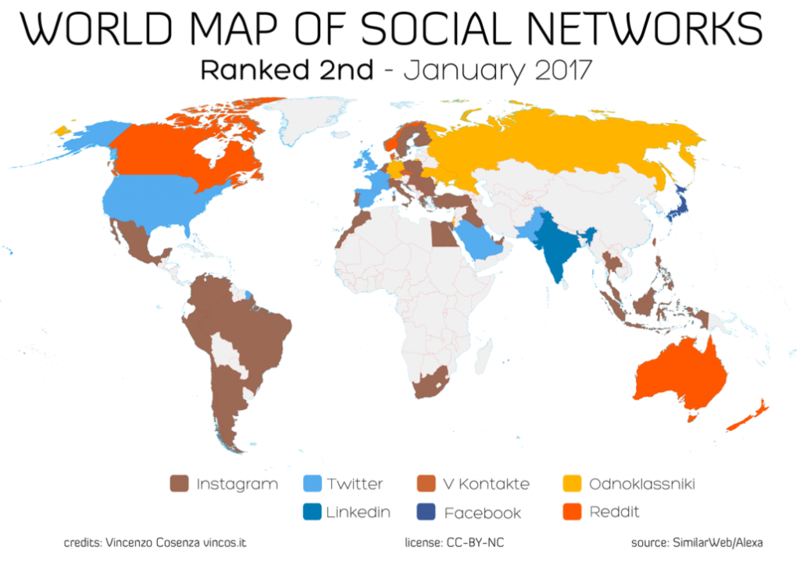 His January 2017 World Map of Social Networks , based on traffic data from Alexa and SimilarWeb, reveals that Facebook is still the leader in 119 out of 149 countries analysed.